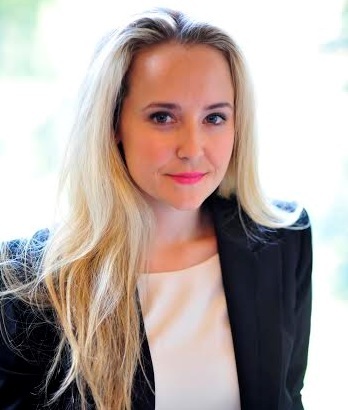 Alexa von Tobel, CFP® is the founder and CEO of LearnVest.com, and the New York Times-Bestselling Author of Financially Fearless. Alexa launched LearnVest in 2009 with the goal to make financial planning affordable, accessible and even delightful. Since then she has raised over $72 million in financing from Accel Partners, American Express Ventures, and others. As founder and CEO, Alexa is working to make the LearnVest mission—to make people nationwide feel amazing about their money—a reality. In recognition of her entrepreneurial achievements, Alexa was recently selected by President Obama and U.S. Secretary of Commerce Penny Pritzker as an inaugural member of the Presidential Ambassadors for Global Entrepreneurship (PAGE), through which she serves to promote and support entrepreneurship on a global scale. I set out to build LearnVest with the goal of making financial planning affordable and accessible. From the start, I knew that powerful technology was the way to do that most effectively. It goes without saying that technology is central to every part of our lives. It’s how we manage everything from our dating lives to our transportation, so why not use it to better manage our money? Since then, we’ve raised over $73MM from investors to build software designed to help people truly make progress on their money. Technology allows us to show our clients where they stand today and dynamically predict what their financial futures can look like moving forward. Tell us about LearnVest. What inspired the idea and what is your vision for the company? From the beginning, my vision has been to make financial planning accessible to people nationwide. That started with content—talking about money in a clear and actionable way—and has grown into a full program in which LearnVest clients can work directly with a planner to get advice. We combine a powerful technology with LearnVest planners to help people feel amazing about their money. What strategic partnerships/marketing strategies have you implemented that have attributed to LearnVest's success? Given our goal of making financial planning accessible, we’ve worked hard to talk about this complicated, complex, jargon-ridden topic in direct terms. We think of ourselves as a lifestyle brand—not just a financial one—so we emphasize action and motivation. One way we’ve done this in marketing is to talk about LearnVest as a gym membership for your money; LearnVest is a Program designed to whip your money into shape, complete with Planners to hold you accountable to achieve your challenges. We’ve also been very fortunate to work with some best-in-class brands—from American Express to Dell—to further spread LearnVest’s reach. I think the financial services industry now recognizes the importance of creating user experiences that speak to a broader range of Americans, including Millennials. Given overall trends in technology, there are many implications for financial services. For example, we have an expectation that we can easily access the information we need to make smart decisions—a reason LearnVest’s original content performs so well and continues to be widely syndicated. We also want to work with companies that are transparent and trustworthy—which is where our subscription pricing, in which clients pay for advice and not for products, comes into play. Finally, I think the smartest brands out there enhance our lives in their simplicity and effectiveness—a principle that guides the entire LearnVest Program, from Challenges that break big to-dos into bite-sized actions and to our iPhone and iPad app. Get up, dress up, show up. Get up ready to go, dress the part, and show up with your best attitude. Your greatest success as founder of LearnVest? Most difficult moment-how did you overcome and what did you learn? I consider my greatest success helping thousands across the country feel better about their money—but we still have millions more to help! Being an entrepreneur is full of countless difficult moments. I can’t pick just one! But I think the challenges and failures make the successes that much sweeter. Where to start? I once had someone tell me that if you knew what it took to build a company, you’d never start. It’s an incredibly consuming and exhilarating experience. Some of my favorite pieces of advice: make sure you’re 110% committed to your mission (this is what makes me so excited to get up every morning and work on LearnVest), stay focused (set clear goals and do not get distracted), and seek out smart feedback (find people who have gone before you and get their honest thoughts on your company). As we rapidly build our team, the most important quality that unites our employees is a commitment to our mission and a passion for making financial planning accessible. Our team wants to actively shape the future of financial advice and how it is delivered. We have an extensive hiring process to help ensure we’re getting the right people, and we set clear detailed goals for the whole company, so everyone understands what role they play. The Hard Thing About Hard Things by Ben Horowitz, Happy Money by Elizabeth Dunn and Michael Norton, and Financially Fearless (my book) of course! I’m lucky to have a really fantastic Board of Advisors at LearnVest—they have given me tremendous guidance both professionally and personally. Outside of LearnVest, I’m passionate about design! On Saturday mornings, you’ll find me curled up with the latest issue of Elle Decor. “It's Not Just For Your Brain: Meditating Can Actually Change Your DNA” on FastCompany.com. I studied psychology, so I’m fascinated by smart stories like this. We have a lot of exciting projects in the works. To name a few...we’ve seen tremendous demand for our LearnVest at Work channel (where LearnVest is offered as an employee benefit), so we’re focused on rapidly scaling that side of the business—bringing LearnVest to thousands of employees nationwide. We’re also expanding our LearnVest Live event series, which I think of as money bootcamps to help people make progress on their money on the spot. We recently held LearnVest Live NYC with nearly 2,000 attendees. Below are the details for the discount code for tns members/readers. Alexa was selected as a 2011 Young Global Leader by the World Economic Forum, named to the Ernst & Young Entrepreneurial Winning Women Class of 2011, honored as a 2012 Fortune Most Powerful Women Entrepreneur, and named a Scholar at the 2012 Aspen Ideas Festival. She serves on a new digital advisory board called Women@NBCU and is a member of the International Academy of Digital Arts and Sciences (IADAS), the organization that selects the winners for the annual Webby Awards. Since launching LearnVest, Alexa has been widely quoted as a personal finance expert and entrepreneur in top tier business and consumer outlets. She is a columnist for Cosmopolitan and Inc. Magazine and hosts a weekly radio show on SiriusXM, “Financially Fearless with Alexa von Tobel.” She has also been featured in The New York Times, The Wall Street Journal, Businessweek, Fast Company, Inc., Elle, Forbes, InStyle, Mashable, TechCrunch, VentureBeat and many more. In addition, Alexa has appeared on several local and national television shows including The Today Show, Good Morning America, CBS This Morning, Katie, CNN’s Your Money, The Rachael Ray Show, and MSNBC’s Your Business among many others. Alexa has spoken at nationally renowned events and conferences including TEDxWallStreet, SXSW, Inc.’s GrowCo Conference, NY Ideas Festival, Fast Company’s Innovation Uncensored, and Maria Shriver’s Women’s Conference.